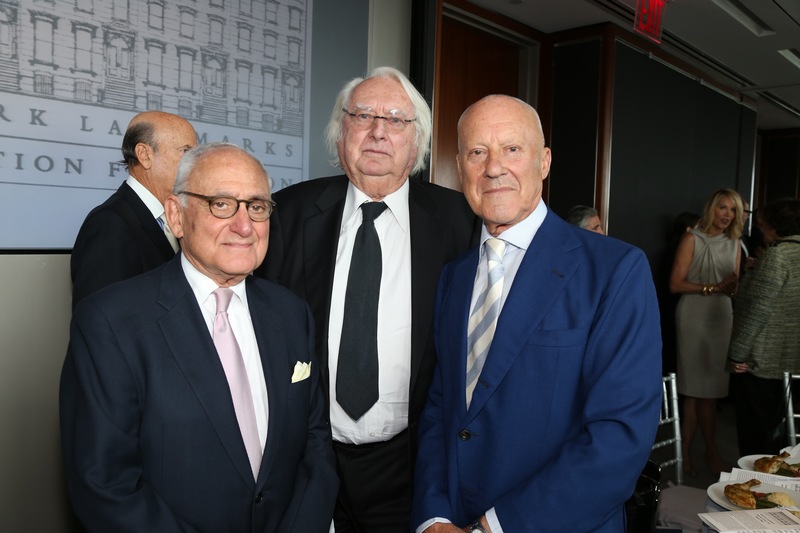 On October 7, the New York Landmarks Preservation Foundation hosted its annual “Lunch at a Landmark” at the top of the Hearst Tower. 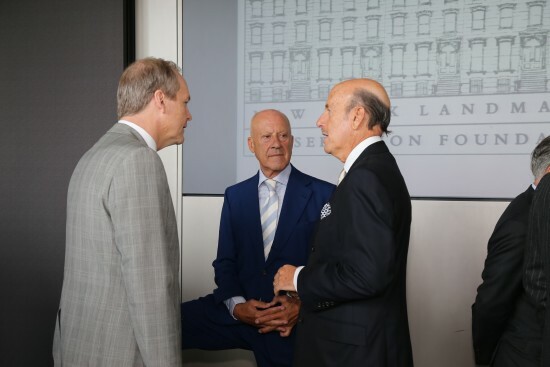 Guests, New York’s elite architectural, design, and preservation cognoscenti, were offered a rare insight into the building—one from Norman Foster himself. To best explain his old-meets-new approach to the Hearst Tower, Foster revisited five of his past projects: the Reichstag in Berlin; the Millennium Bridge over the Thames; the Millau Viaduct in Millau, France; La Voile in St. Jean Cap Ferrat, France; and the Château Margaux in Bordeaux. 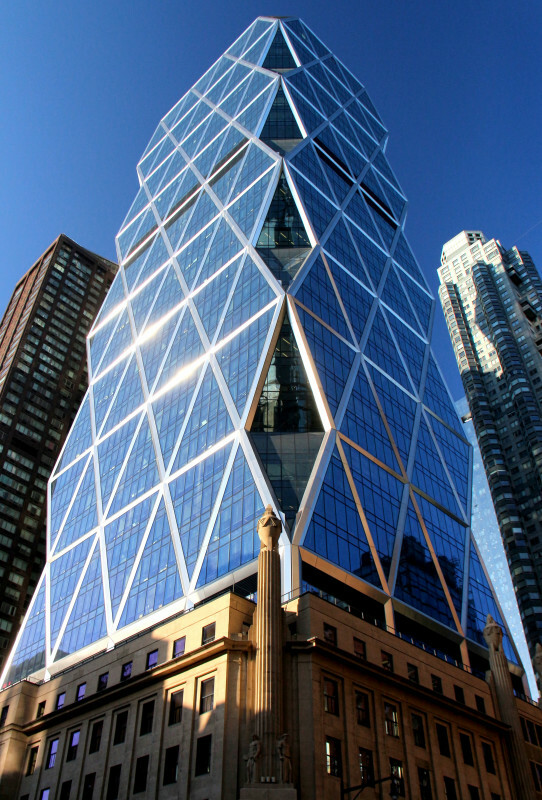 The original Art Deco Hearst building by Joseph Urban was always intended to have a tower rising from its base. However, due to complications like the Great Depression, it was nearly 80 years before that tower came to fruition. To build the 46-story-tall skyscraper, Foster scooped out the building’s interior to introduce light and create a kind of “town-square.” This move was initially contested on the grounds of “facadism” but Foster persisted. “When someone says I can’t do something, that is when I get really excited about it,” he said. Now, the dynamic lobby with its dramatic entrance that takes pedestrians over an indoor waterfall to enter is one of the building’s most iconic design moments. Of course, Foster could make an educated guess that this would be the case. 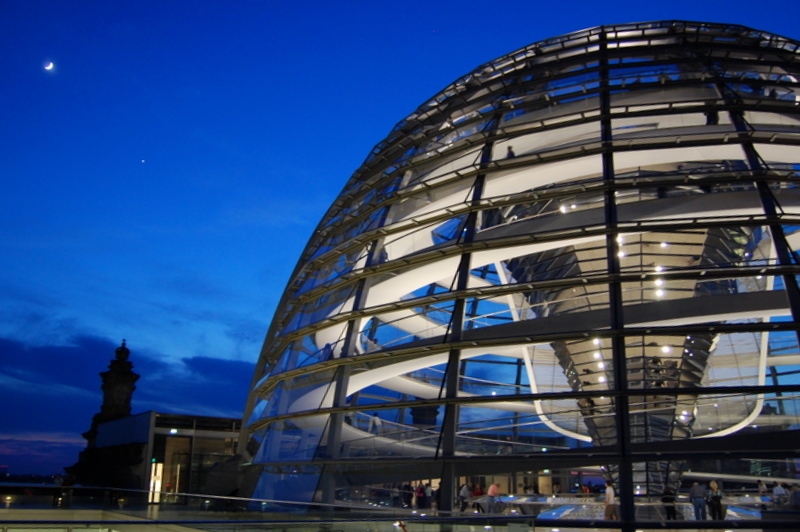 He took a similar approach to Berlin’s Reichstag in 1999. In that instance, the hollowed-out core was a historically sensitive move that visually helped to give the building back to the people. 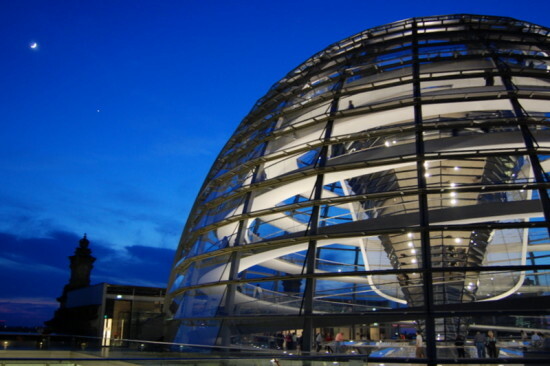 Even as he preserved the Russian graffiti and other emblems of the building’s past, the clear dome in the tower physically placed the people above the government as a bright symbol of democracy. Although bridges are markedly different from buildings, Foster also connected past and present with the Millennium Bridge and the Millau Viaduct, quite literally. 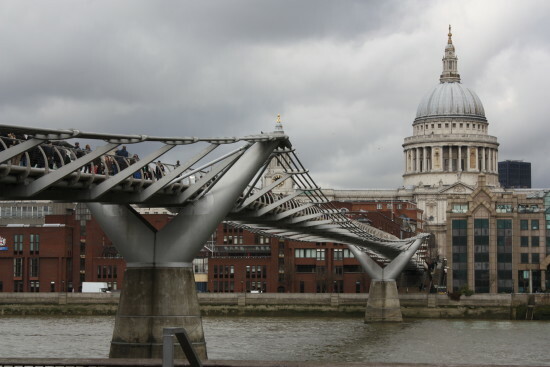 Taking cues from St. Paul’s Cathedral and the Tate Modern in London, the Millennium Bridge’s thin, steel profile frames picturesque views of the city for the approximately 4 million people per year who walk across it. While France’s Millau Viaduct didn’t have to contend with any historic buildings, it presented a similar challenge in that its location, the Massif Central Region, is a National Heritage Site. Using tall piers to support the slender bridge, Foster and Michel Virlogeux (the lead engineer at Eiffage, the same company responsible for the Eiffel Tower), created a structure that only lightly touches the land and enhances the landscape for everyone driving across it. These three projects illustrate Foster’s concept of a design “marriage,” a relationship that he likens to a family, where there is a new generation that may have a distinct style, but it has very strong ties to the older generation. The Millau Viaduct in Millau, France. (Allan Harris). In two other projects he discussed, La Voile in St. Jean Cap Ferrat, France, and the Château Margaux in Bordeaux, Foster opted for a different approach. For La Voile, Foster ran up against a well-intentioned law in the South of France that protected the coastline. Unfortunately, this meant that a nondescript house on his client’s property was also protected. But, by hollowing out an old stone tower from the center, Foster created a new “skin,” a design that totally swallows the original home—perfectly preserving it without compromising the new design. In fact, the fit was so perfect, that the local police raided the house once to make sure the original one was accessible underneath (it was). Along similar lines, but less dramatically, Foster integrated a new structure for making white wine at the Château Margaux winery with an 1815 building by Louis Combes. Pulling inspiration from trees and farm structures, the resulting building appears to grow both organically from the site and from its 19th Century counterpart. These five projects offer a survey of Foster’s innovative and varying approaches to melding old and new architecture in ways both familiar and unique to each site. It will be exciting to see how these approaches unfold as he turns to more radical projects such as the drone port in Rwanda and beyond.